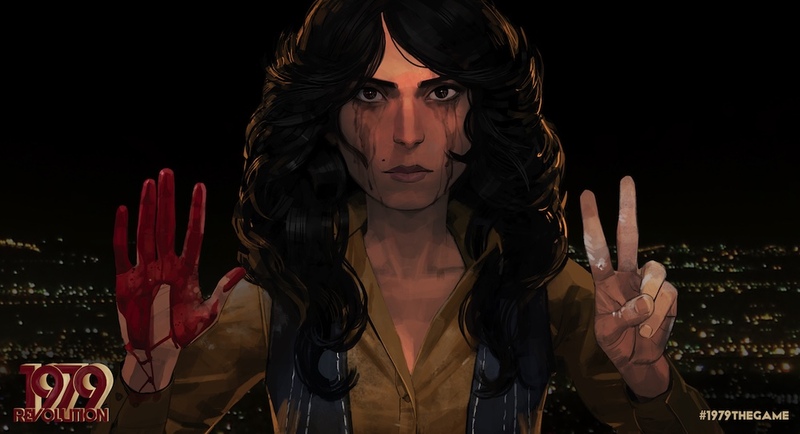 Named as one of the top 5 highlights of Sundance 2015, 1979 Revolution in an action/adventure game which immerses players into the gritty, euphoric streets of Iran in the midst of the revolution. I caught up with Vassiliki Khonsari – co-founder of iNK Stories – who is producing the game to find out more about their work. We describe ourselves as storytellers who design experiences that embrace innovation at the intersection of art, documentary and technology. We believe in connecting people through making stories that communicate our humanity. I have an academic background in Visual Anthropology — MA University of Manchester, UK and my partner Navid came from a film and Video game background. I continued to direct, produce and DP long and short form documentary content for T, Independent Features in NYC. Navid was the director of production at Rockstar Games – Cinematic Director on the world’s top selling blockbuster video games such as Grand Theft Auto San Andreas, Vice City, Alan Wake and Max Payne to name a few. The decision to make work in the interactive field was not a sudden move or a great departure from what we already did at our studio — and therefore emerged quite organically. Coming from the academic background of Visual Anthropology – my emphasis has always been in creating content that can be communicated and represented visually. After meeting Navid Khonsari, a successful force in the gaming world, we formed iNK Stories, a studio that embraces the mantra, “content is king” and the mediums are explorations. We recognise that the convergence of technology and art is a valuable tool that can better serve storytelling and it’s audiences. We are first and foremost storytellers looking to use existing tools, in combination with creating new ones, to tell stories that will ultimately connect us to one another. What is positive and encouraging about making interactive stories is that the timing is right — audiences are receptive to innovation — and we live in the times where creativity is rewarded. Documentary storytelling is not limited to it’s traditional confines, but is now embracing artistic expressions of representation. On the negative side, it can be very costly to experiment in different mediums which are more reliant on technology. The production pipeline is more cumbersome, requires more collaboration with specialised technologists, programers and many more hard costs then traditional filmmaking. We have been fortunate to have received support from the Sundance Institute, Grant Funding from Doris Duke Foundation of Islamic Arts, IFP and Made In NY. Aside from grant funding, we raise our financing privately — allowing us complete creative freedom. We also distribute/publish our own work. It is certainly not easy, it requires a tremendous amount of work, persistence, and hustle — especially when you are raising substantial budgets. But we’ve managed to find a very faithful and passionate group of investors who believe in what we are doing. Looking to the future, what developments in the world of i­-docs excites you? Verite Games — expanding the platform that we are already developing in — bringing real stories to interactive narratives. We are very excited about using game interactivity to convey documentary non linear stories — which is what we are doing with 1979. We are also very excited by the experimentation we have been designing in VR. Lastly, can you give me a brief summary about what you’ll be speaking about at i-Docs 2016? Emerging technologies are changing the landscape of documentary storytelling. Video Games, Virtual Reality, Digital content have become legitimate channels of communicating ‘documentary’ stories. As this wave of innovation sweeps the genre, pushing on the boundaries of empathy, a new set of implications and possibilities surface. Presenting the case study of the soon to be released —1979 Revolution Game, coined a Verite Game — I will delve into what the New Yorker calls “A Truly Revolutionary Game”. 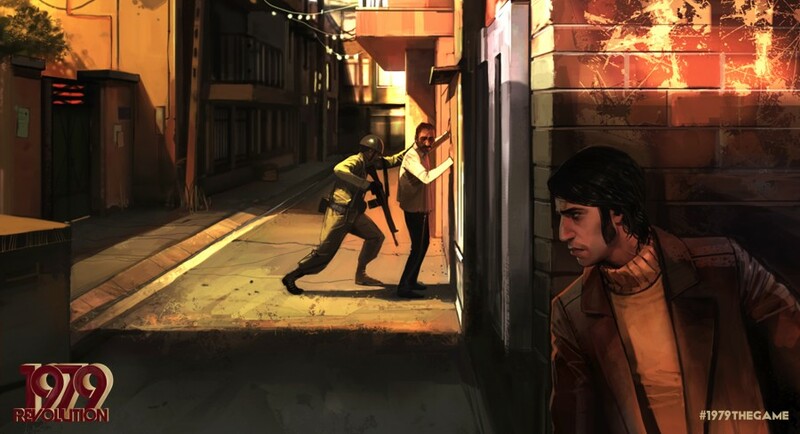 Set amongst events that are defining the 21st century, 1979 Revolution defies traditional documentary filmmaking by merging documentary storytelling with interactive video game play. As the co-Founder of iNK Stories, I will discuss the approach, production and design involved in preserving authenticity whilst at the same time exploring the power within new forms of storytelling.